Fire crews continue to make progress on containment lines around the Holy Fire, which is now at 22, 986 acres and 91% percent containment. Full containment is expected on September 1, 2018. Please note that flare-ups and smoking vegetation may remain visible to the surrounding communities but are within the fire perimeter.The damage assessment team has completed its work and determined 12 single family residences were destroyed in Orange County and 6 single family residences were destroyed in Riverside County prior to August 13th.Fire suppression repair groups will be identifying and repairing affected areas along the east and west sides of the fire. This is done to reduce erosion potential and cleanup damaged areas. Suppression repair efforts will include returning existing road systems back to original, pre-fire condition, cleaning plugged drainage features, and scattering cut brush across dozer lines to block and discourage illegal OHV activity.BAER work is expected to commence shortly after full containment of the fire. 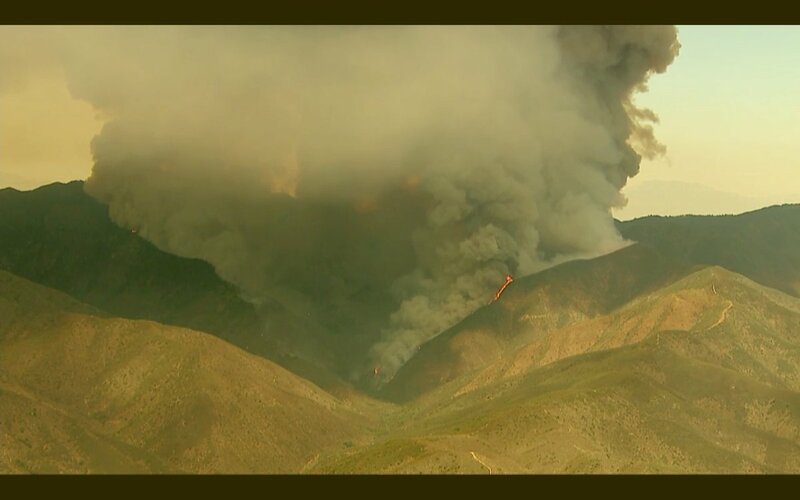 Live look at the #HolyFire courtesy of of ABC 7, and it is absolutely cranking ! 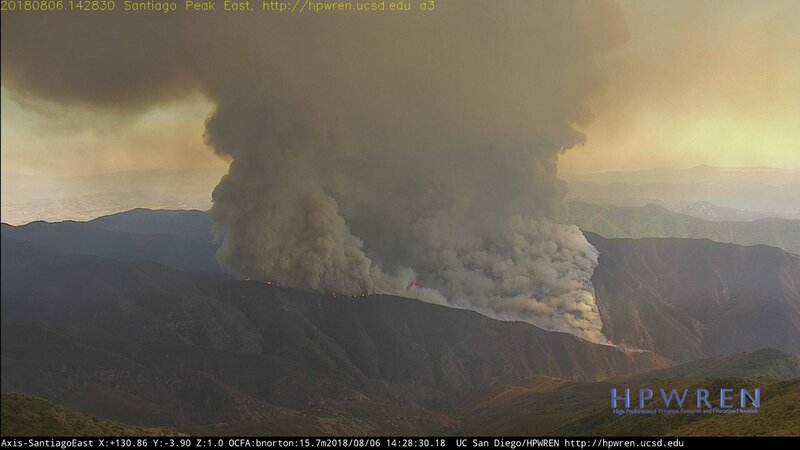 This is from #holyfire cloud burning in Orange County. Lake Elsinore: Mandatory Evacuations for all homes on the mountainside of Lake St and southwest of Grand Ave to the Ortega Highway. Voluntary evacuations are in effect for the Shoreline community Mandatory evacuations remain in effect for: Holy Jim, Trabuco Canyon Recreation Residence Tracts, Blue Jay and Falcon Campgrounds, McVicker Canyon, Rice Canyon, El Cariso Village, Rancho Capistrano, Horsethief Canyon, Glen Eden Canyon, and Sycamore Creek. Road closures will continue until evacuation orders are lifted. There are two evacuation centers open for residents in both Orange and Riverside Counties. Riverside: Temescal Canyon High School, 28755 El Toro Rd Lake Elsinore CA 92532 for residents. Orange County: San Juan Hills High School located at 29211 Stallion Ridge, San Juan Capistrano. There are hard road closures for the areas under evacuation order. Until these closures are lifted, residents are not permitted back to check on or get small animals. The evacuation area covers 7,449 single family homes and numerous commercial structures with estimated evacuees totaling 21,484 people. After completing a structure assessment in the Holy Jim community, there are 12 confirmed structures lost during the initial attack phase of the fire.